(2015/Sundazed) 12 tracks. Das legendäre Sun Album aus dem Jahre 1964! From the minute he walked into Sun Studios, Johnny Cash began a career that would see him become one of the biggest and most influential musicians of our time. Though only on Sun from 1955-58, Johnny made some of his most legendary recordings there. 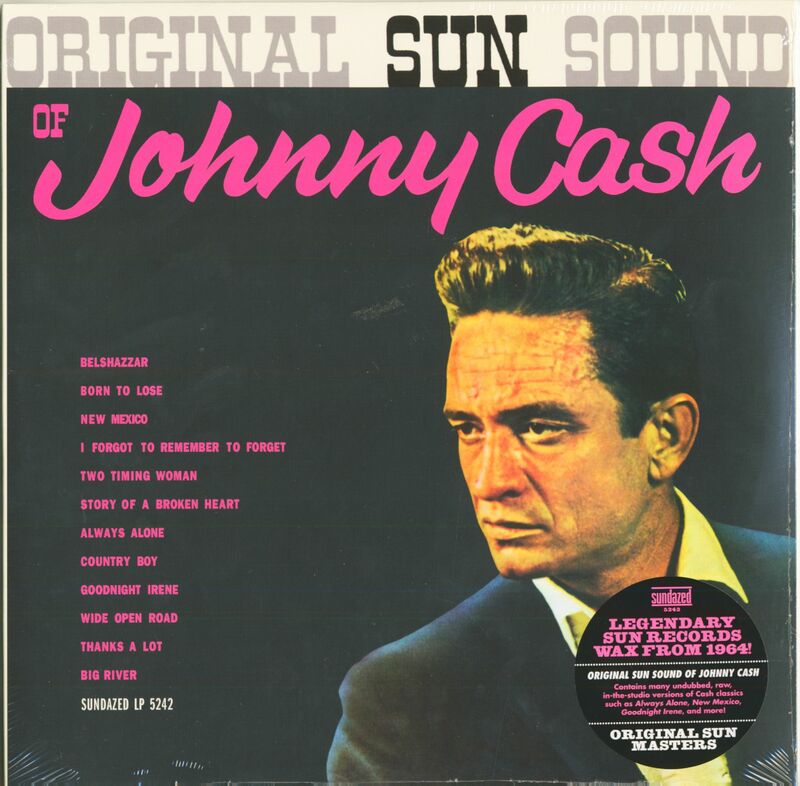 When he moved on to Columbia Records, Johnny left behind a large cache of material which Sun happily compiled and released on LPs throughout the 60's, mixing Cash's singles-sides with previously unissued recordings. The resulting platters were a goldmine for fans eager to hear more from country's newest superstar. 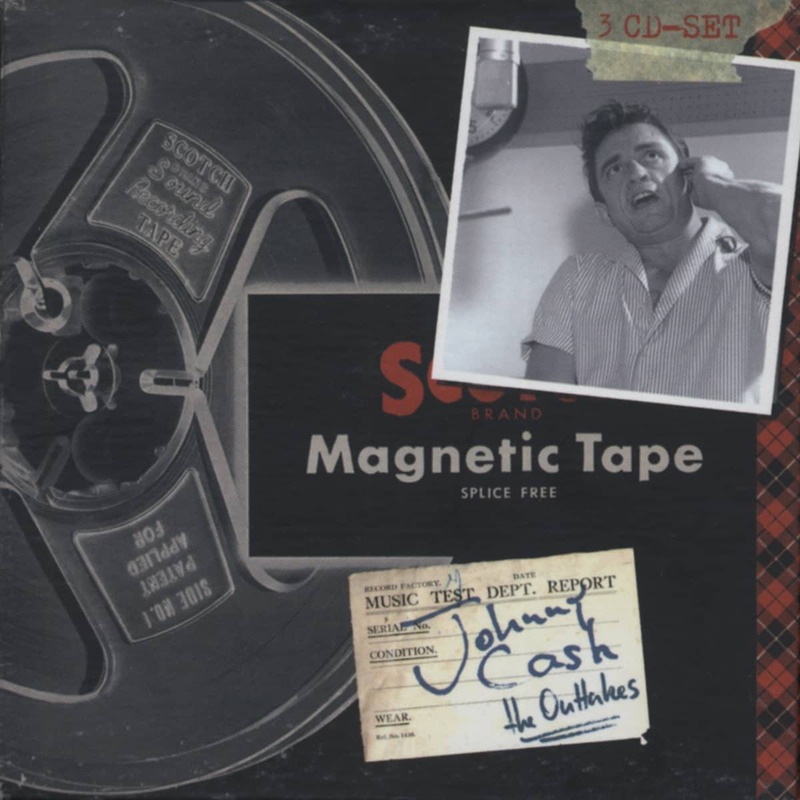 From the original Sun masters, featuring many raw, in-the-studio sides (sans overdubs) - the Man in Black has never sounded better! 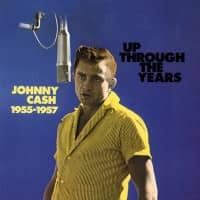 By 1964, Johnny Cash had been a Columbia artist for six years - yet Sam Phillips continued to dig deep in the Sun vaults to assemble new LP titles. 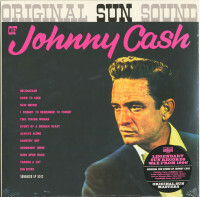 Original Sun Sound of Johnny Cash gathers a dozen of his Sun recordings, several making their LP debut. It contains fan favorites like 'Country Boy' and 'Big River,' Lead Belly's 'Goodnight Irene.' 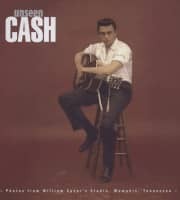 Cash's version was entirely in line with his support of the downtrodden and oppressed, a trait folk, and pop audiences alike. 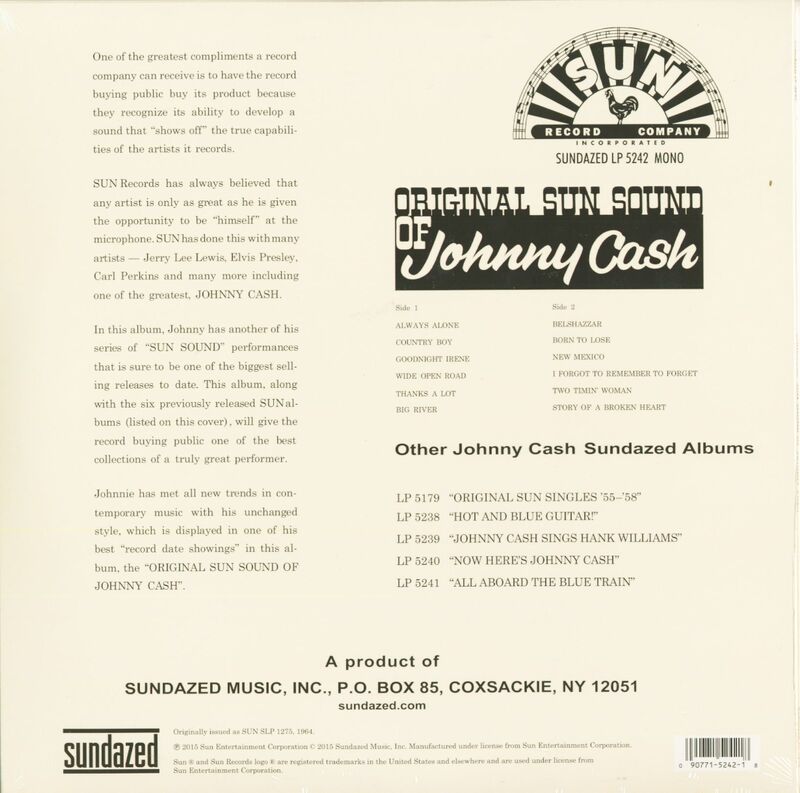 Kundenbewertungen für "The Original Sun Sound of Johnny Cash"